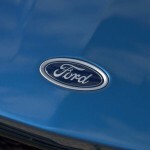 The 2020 Ford Explorer will have a $400 increase from the 2019 model and that’s largely because of a new rear-wheel-drive configuration, the addition of a hybrid version, and the replacement of the Sport trim level by the ST. Still, for these changes, the additional $400 is competitive and practical. 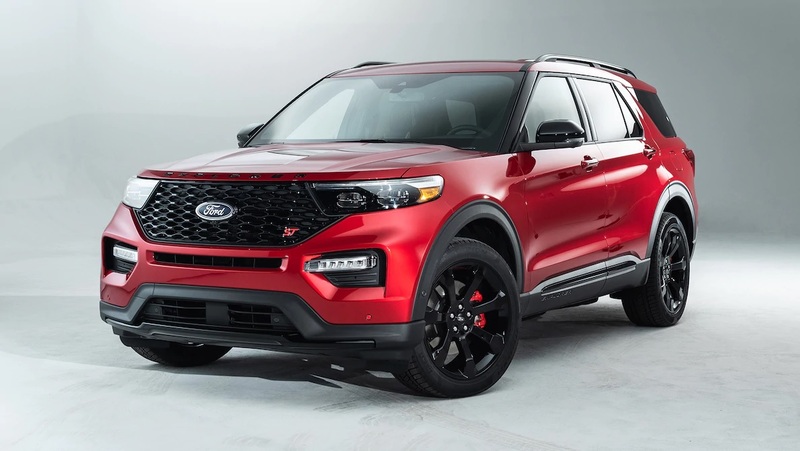 Revealed during the Detroit Auto Show this year, the new Ford Explorer will have a starting price of $33,860, according to an email of Ford to Motor Trend. That price includes the destination fee. 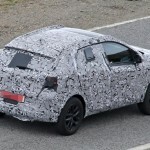 The base model will come with a new engine that can produce 300 horsepower and 310 pound-feet of torque instead of the old V6’s 290 horsepower and 255 pound-feet of torque. This engine is mated with a 10-speed automatic transmission, which means better accelerations and fuel economy. 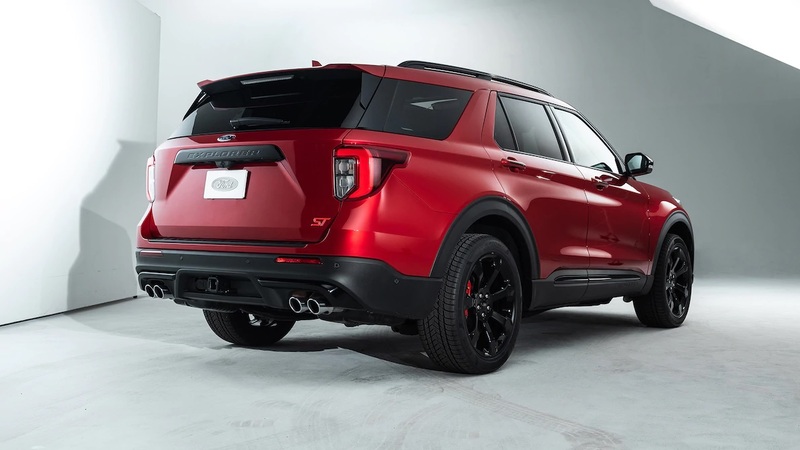 The next trim level is the Explorer XLT. Priced at $37,750, it is $2,275 more expensive than the 2019 model. 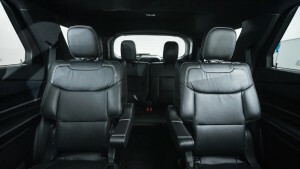 The price includes features not found in the previous XLT such as power-adjustable front seats, captain’s chairs in the second row, and a total of four USB ports (two more ports than the base Explorer). 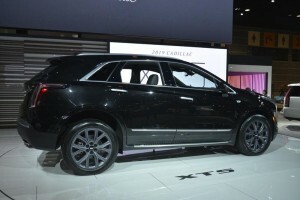 Next up is the Explorer Limited, which will sell for $49,225. That’s $5,365 more than the 2019 model. You’ll enjoy a number of features made for luxury and comfort such as wireless charging, a surround-view camera system, and rain-sensing wipers. The hybrid powertrain will require an additional $3,555 for a 3.3-liter hybrid engine and 20-inch aluminum wheels. 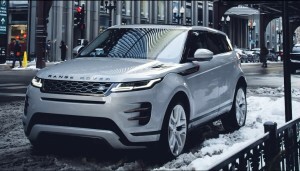 The top-of-the-line Explorer is called the Platinum and has a price tag of $59,345. 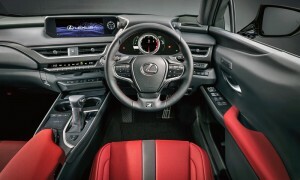 That comes with a 3.0-liter turbocharged engine that makes 365 horsepower. The sportiest of the Explorers is now called the ST instead of Sport. It will be sold for $55,835, $8,115 more expensive than the 2019 Explorer Sport. 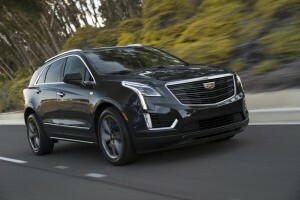 The Platinum’s engine is configured to make 400 horsepower and 415 pound-feet of torque. There’s also a quad exhaust, 21-inch wheels, a sport-tuned suspension, and more. 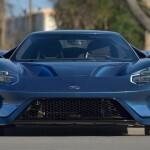 John Cena’s infamous Ford GT, which made headlines when it was sold by the WWE superstar a month after buying it even with the no-resell clause in the contract, is back on the auction block for the third time in the last two years. 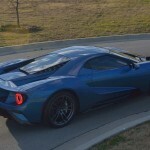 The Liquid Blue Metallic supercar will once again be auctioned off by Mecum Auctions, which handled it the last time it was auctioned off in Dallas four months ago. That wasn’t too long ago, huh? Let’s back up a little. 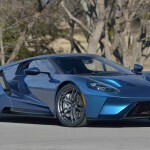 Back in 2017, Ford sold the $500,000 car to Cena who was chosen based on his ownership of other high-end cars and his social reach. 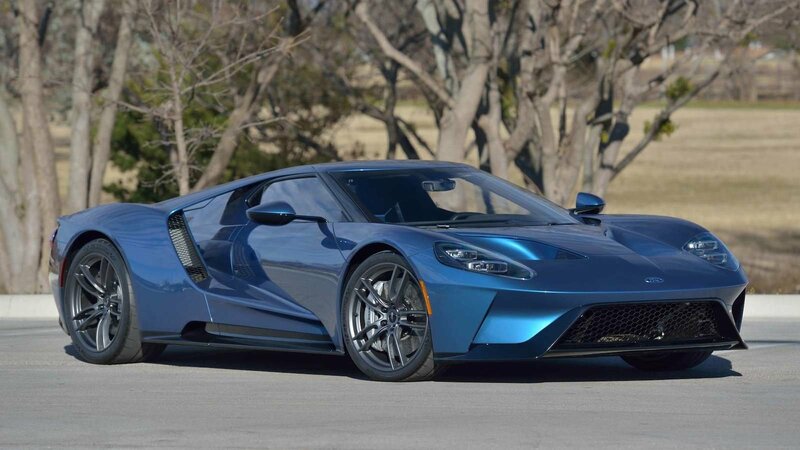 The contract disallows the wrestling superstar to resell the GT for 24 months after its initial delivery. But Cena decided he didn’t want the GT a month after receiving it and he sold it to a 78-year-old Californian farmer for $1.54 million. Ford sued Cena because of the no-resell clause in the contract but both parties eventually reached a settlement. Back to the farmer, he decided he didn’t want the GT eight months after owning it and sold it to a Russo & Steele auction in August 2018. The GT had 625 miles on it by then. The next owner purchased the car for $1.7 million but sold it to Mecum auction in Dallas after just a month. He put one mile on the supercar. With 626 miles on the GT, owner No. 4 purchased it for $1.32 million but after only five months of receiving the keys to Cena’s former wheels, it’s now on Mecum’s listing again for its May 2019 auction. It now has a total of 635 miles, meaning owner No. 4 just drove it for nine miles! 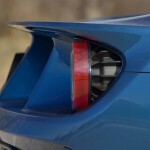 With 647 horsepower and 550-pound feet of torque, it’s hard to imagine why no one wants to put the miles on this thing. It also has the ability to hit 216 mph by just batting your eyelash, by the way. We’ll see this coming May who the next owner of this Ford GT is as it’s fast becoming the hot potato of supercars. 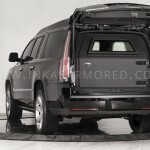 INKAS, a Canada-based company that specializes in the design and production of armored vehicles for commercial and personal use, releases its Armored Cadillac Escalade Chairman Package. 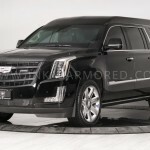 Already equipped with a multitude of luxurious features that will make any passenger feel like a head of state, the Armored Cadillac Escalade can be further configured with packages ranging from $300,000 up to $500,000 for the bulletproof capability. 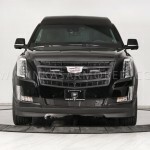 Thanks to the Cadillac’s long wheelbase, which measures at 3302mm, the Escalade ESV can provide maximum comfort and luxury for the passengers. 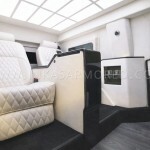 The Chairman Package allows for the conversion of the spacious passenger compartment into an executive mobile office, a luxurious VIP transport cabin, or a comfortable daily or long-trip carrier. 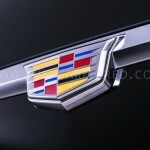 On the exterior, the Cadillac boasts of its iconic appearance, front grille, and chrome accents. 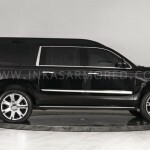 But INKAS made sure the Chairman Package will make the Escalade stand out as they also fitted it with a four-inch roof extension that increases passenger comfort and ease of entry and exit. 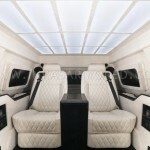 The interior design will stand out from the rest of the luxury vehicles available in the market. 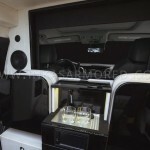 INKAS fitted the Cadillac Escalade with premium Italian hides, Alcantara Suedes, exotic wood paneling, and a variety of comfort and luxury features such as a mini bar with liquor dispenser, air purification system, SmartTV, 4G LTE hotspot, advanced entertainment system with Apple CarPlay and Android Auto integrations, and a 16-speaker setup. 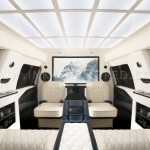 Other cabin features are the power-reclining captain chairs featuring power ottomans, massage, heating and cooling capabilities with in-vehicle lighting provided through the INKAS® DayLight™ headliner system. 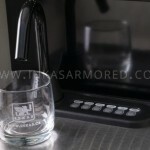 Aside from a 360-degree closed-circuit camera system with an on-vehicle PVR, as well as cloud backup functionality, additional options— biometric gun safes, satellite TV and telephone systems, heavy-duty exhaust fans for cigar lovers, and evasive security features—are available for buyers. 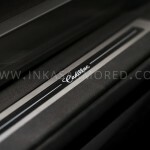 All electronic components can be controlled through the INKAS touchscreen tablet system. 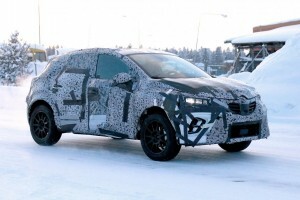 The performance will be based on a 6.2-liter V8 engine that’s paired with a 10-speed automatic transmission producing 420 horsepower and 460 pound-feet of torque. 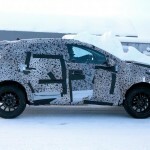 The entire perimeter of the vehicle’s body is clad with armoring materials that can provide protection from 7.62x51mm or .308 Winchester FMJ ammunition. It is also capable of surviving the explosion from two hand grenades detonated simultaneously below the limousines floor. 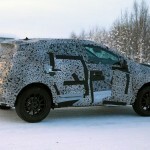 An additional option allows buyers to equip this vehicle with bulletproof material. Are you a fan of the massive grille on the new 2020 BMW 7-Series? If you are and want to get your hands on it, better be ready to shell out $87,445. And that’s just for the base model. 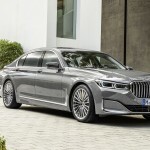 The revamped full-size luxury sedan will again compete with the Mercedes-Benz S-Class which outsold the 7-Series 14,978 to 8,271 units last year. The 740i is the base model that’s priced at $87,445. 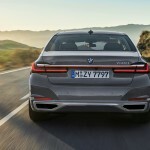 The power comes from a 3.0-liter turbocharged inline-6 that makes 335 horsepower and 330 pound-feet of torque through a rear-wheel-drive configuration. 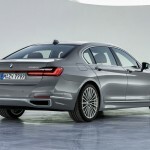 The 740i xDrive model will have an all-wheel-drive but that will cost $90,445. 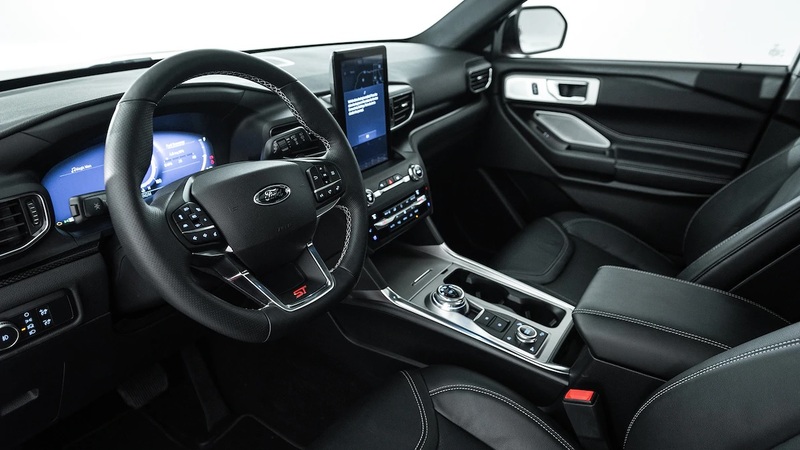 The interior materials come standard with a 12.3-inch digital instrument cluster and a 10.25-inch screen that sits atop the center stack to serve as the infotainment system’s hub. Leather is standard for the seats but you can choose Nappa leather for an extra $1,500. 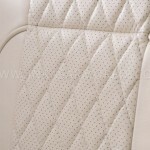 Do you want the leather quilted? Then add another $500. Other upholstery motifs can set you back up by $5,500. 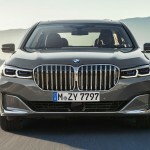 Moving up the ladder is the 745e xDrive Performance model. 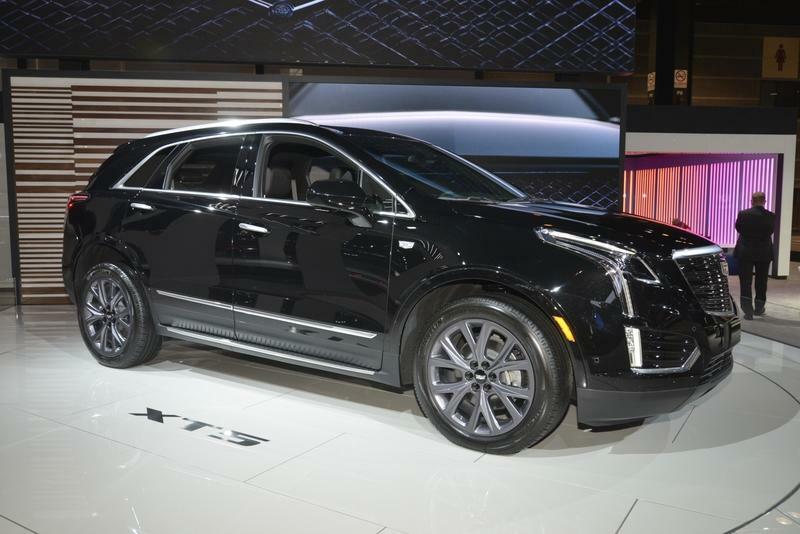 Priced at $96,545, this trim level adds an electric motor to the inline-6 engine to create a plug-in hybrid system. Power is up to 389 horsepower and 442 pound-feet of torque. Standard equipment is identical to the 740i. Next up is the 750i xDrive that starts at $103,645. Powered by BMW’s 4.4-liter twin-turbo V-8, this produces 523 horsepower and 553 pound-feet of torque. 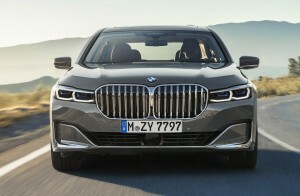 There are more options for this trim level that are not available for the 740i and the 745e xDrive. The Rear Executive Lounge Seating Package includes an electric reclining right side rear seat and footrest, as well as a rear center console and rear seat entertainment system. That will cost $5,750. 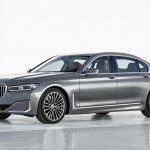 The top-of-the-line model is the 760i that comes with a $158,695 price tag. 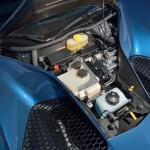 It packs a 6.0-liter twin-turbo V-12 that produces 600 horsepower and 627 pound-feet of torque. 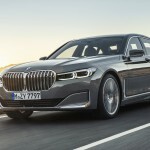 There are numerous options for this model such as the $4,100 Autobahn Package, the $750 Cold Weather Package, the $3,900 Luxury Rear Seating Package, and an M Sport Package for performance materials. 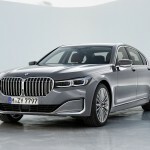 The new 2020 BMW 7-Series will begin its production in March this year with the first cars arriving in dealerships by April. 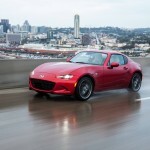 The 30th anniversary edition of the Mazda MX-5 Miata needs only four hours to completely sold out. 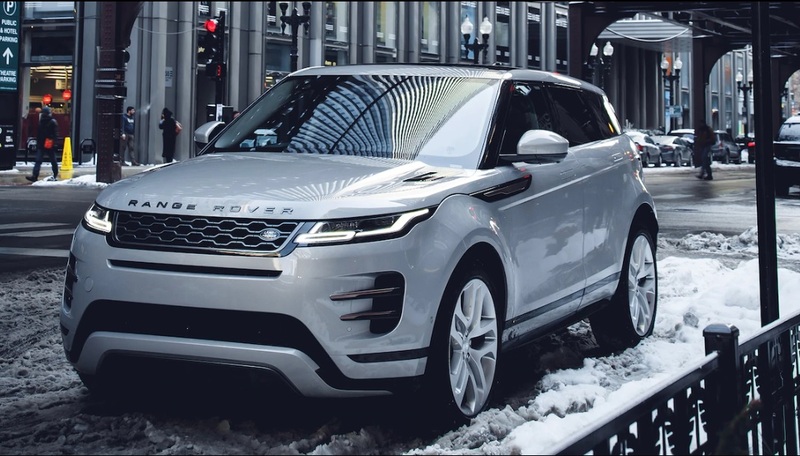 The special edition roadster was unveiled at the 2019 Chicago Auto Show and we immediately saw why this would be such a hit. 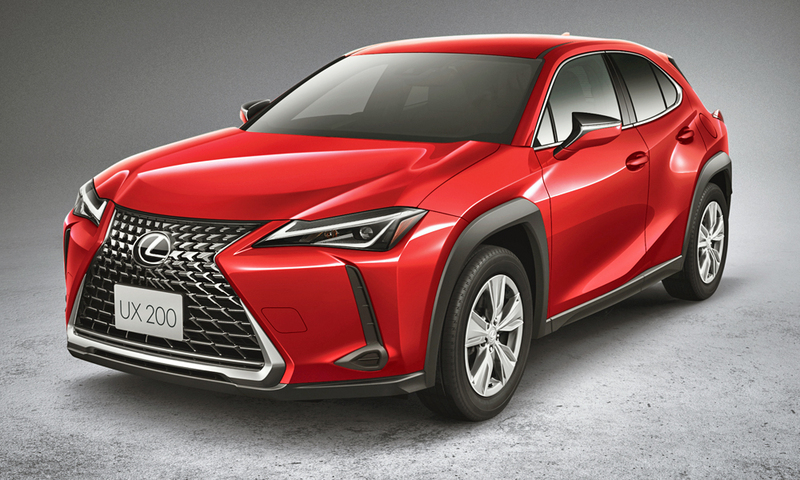 It’s fitted with a few extra features that make this iconic car even more covetable. 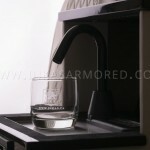 All of its 500 units available were sold out in that period! 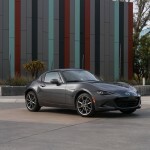 This wasn’t the first time a special edition MX-5 Miata sold out in hours or even minutes. 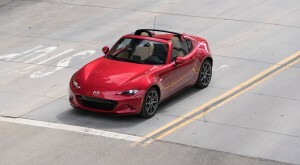 Four hours was, in fact, too long when compared to 2014 when the 25th anniversary MX-5 sold out in just 10 minutes. Of course, the 25th anniversary roadster was available only in 100 units while the 30th anniversary edition needed to sell 500 units in the United States. About 2,500 units of the anniversary edition will be made available outside the US but we expect that to sell out quickly, too. 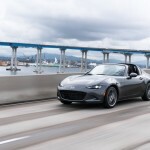 The reason why people are rushing to get their hands on this special edition Miata is not just because it’s an anniversary edition (though that plays into the equation). 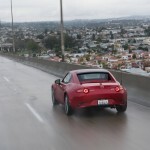 The new Miata comes with a range of exclusive features that might not be available in any of Mazda’s models in the future. The body is finished in Racing Orange, which according to Mazda is a color that “evokes the breaking dawn of an exciting new day.” To complement this orange color, the Miata is fitted with black-painted multi-spoke wheels and orange brake calipers. 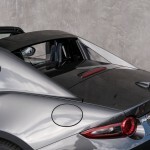 Inside, the Miata is fitted with Recaro sports seats instead of the usual units. The seats have the “30th Anniversary” badge with a serial number for all 500 cars. There’s also a Bose sound system with nine speakers while Apple CarPlay and Android Auto are standard. 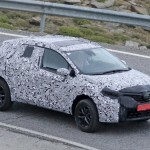 Rounding off the cabin’s new design are orange accents on the seats, the door panels, the dashboard, and the gear shift lever. 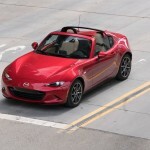 For the performance, the Miata is upgraded with Blistein dampers on manual transmission models, Brembo brakes out front, and Nissin brakes at the back. 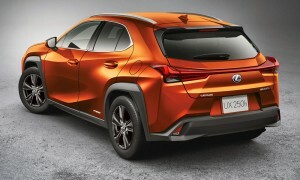 It comes with the same 2.0-liter four-cylinder engine that makes 155 horses and 148 pound-feet of torque. Happy 110th anniversary to Bugatti! 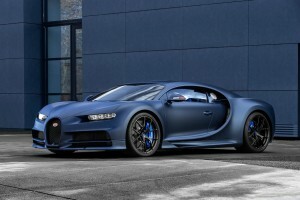 To commemorate this special occasion in the history of one of the world’s most luxurious carmaker, Bugatti made an ultra-limited and mega-expensive new special edition Chiron that will just be available in 20 units. 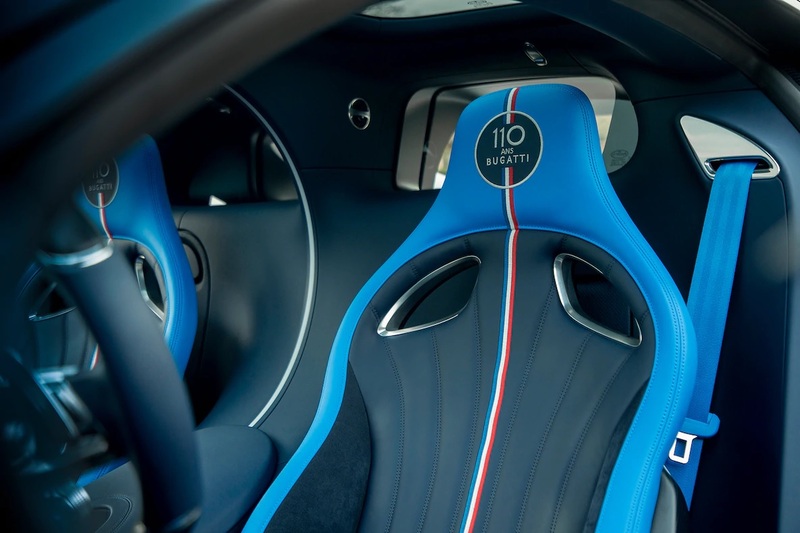 Called the “110 ans Bugatti,” the car is such a colorful package it will remind you of the Pagani and the Lamborghini, both of which have always equipped their supercars with the livery of their flag—the Italian’s white, red, and green. 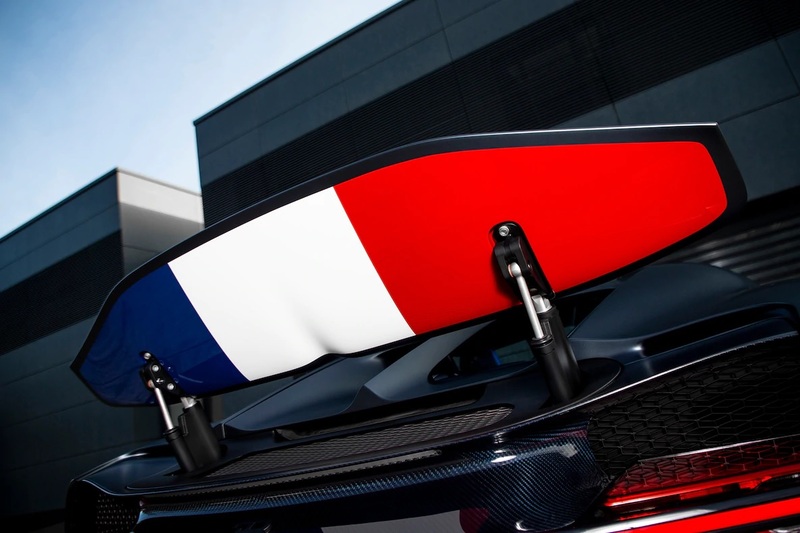 The new Chiron is going further seeing as owes its existence to a mixture of German, Italian, and French geniuses. 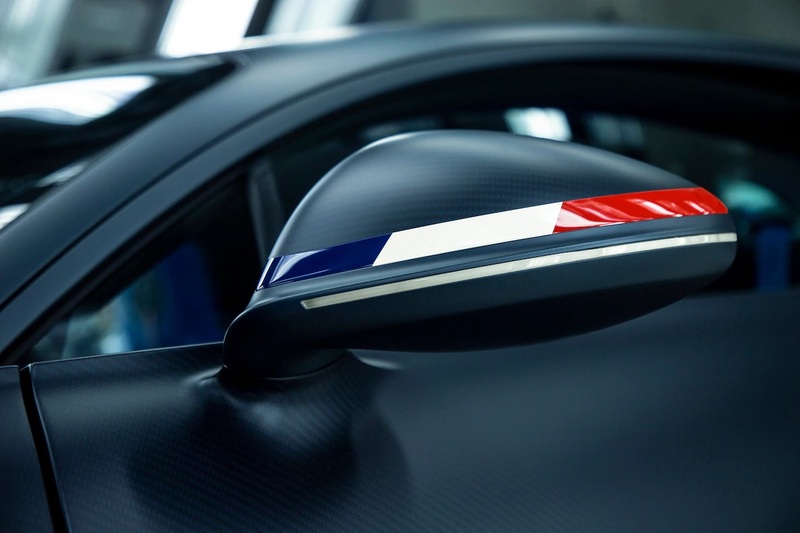 Originally founded by an Italian, Bugatti is now a France-based and German-owned brand that made its special edition Chiron wave the blue-white-red flag with a number of tri-color touches. 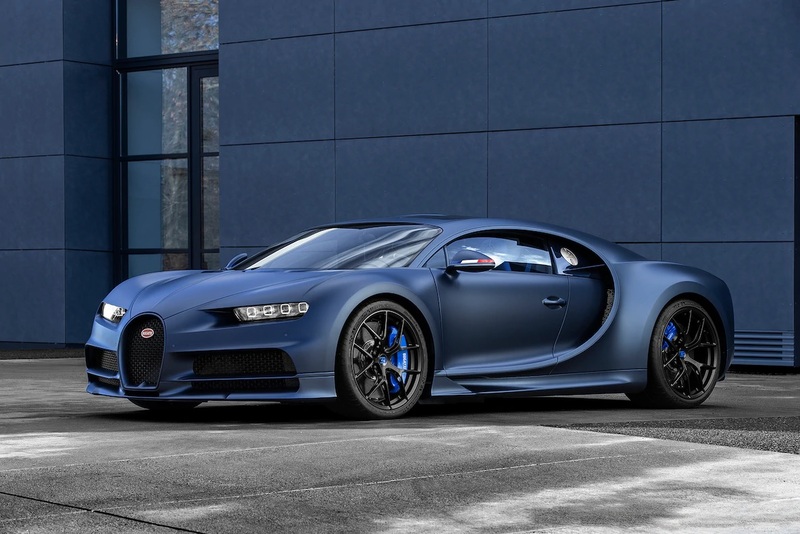 Based on the mighty Chiron Sport, the new Chiron is offering a number of upgrades from the regular Chiron (though in normal circumstances, nothing is ordinary about a Bugatti Chiron). 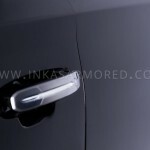 The special edition car comes with an upgraded exhaust, additional carbon-fiber bodywork, and lightweight wheels. It is 40 pounds lighter than a standard car, making the handling easier and more manageable. 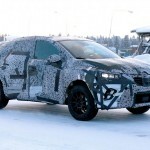 It also has 10 percent stiffer springs and revised steering wheel and rear differential. 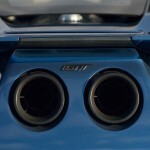 As for the engine, it will come with the same quad-turbocharged W-16 that makes a whopping 1,479 horsepower. Honestly, it couldn’t be any better. 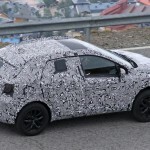 The car’s exterior is wrapped in raw carbon fiber covered with a dark matte coat of Steel Blue paint and some matte black trim and exterior componentry. The French-flag theme is on the side mirror caps and underneath the large rear wing and airbrake. Of course, it has a special badging to separate it from the rest of the “commoners.” The special edition Chiron carries the “110 ans” badge on the fuel filler cap. Inside, the same badge is on the headrests though the rest of the cabin is almost the same as the regular Chiron. It’s done in the same deep blue color as the exterior with a tri-color stripe running down the center of each seat. A small French flag is also on the steering wheel. If you want your Cadillac XT5 to stand out, you may want to check out the XT5 Sport Package that Cadillac made available for the Luxury and Premium Luxury trims of the SUV. 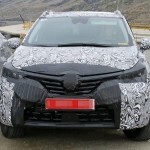 Priced at $1,995 and $2,995, respectively, the package will bring in a lot of cosmetics updates for what is already an aesthetically imposing SUV. 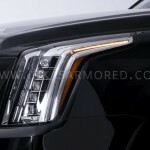 Look, you don’t have to buy the Sport Package unless you want your XT5 to be looked at under a different light. 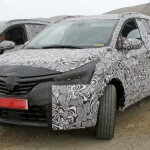 It brings nothing to the engine and there’s no exclusive body paint to speak of. 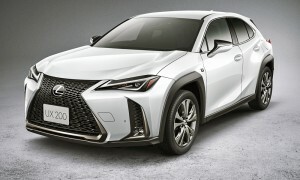 What it does bring is a darker exterior packaging, which means LED headlights (that’s optional for the Luxury trim), taillights with clear lenses, a front grille with gloss black treatment, and a pair of side steps that should make climbing up and down the SUV a breeze. 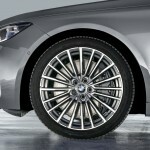 What stands out most in the package is the set of 20-inch aluminum wheels that feature a sleek Technical Grey finish. 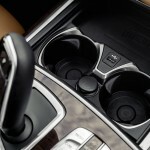 The XT5’s interior benefits from the package, too. The cabin is now dressed in aluminum trim no matter if you choose the entirely black upholstery or the one that combines Jet Black and Cirrus (a warm shade of blue, kinda like the shade of cirrus clouds). There are sport pedals, of course, but Cadillac forgot to upgrade its floor mats so you should look at your local car accessory shop for something that will complement the rest of the cabin. 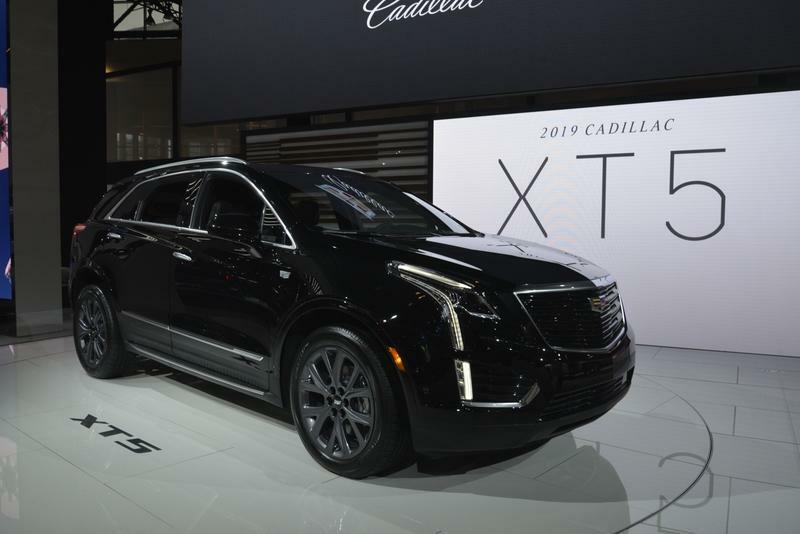 It’s worth mentioning, of course, that you cannot expect the Sport Package to come with an upgrade for the Cadillac XT5’s engine. It’s still fitted with the same 3.6-liter V-6 engine that makes 310 horsepower and 271 pound-feet of torque. 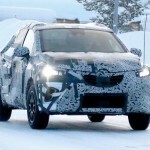 That power goes through an eight-speed automatic transmission that sends the signal to two front wheels. 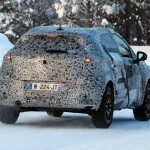 There’s an option for an all-wheel drive.